Seriously obsessed with Knock Knock's overall vibe, so it's no surprise that these cards didn't disappoint. 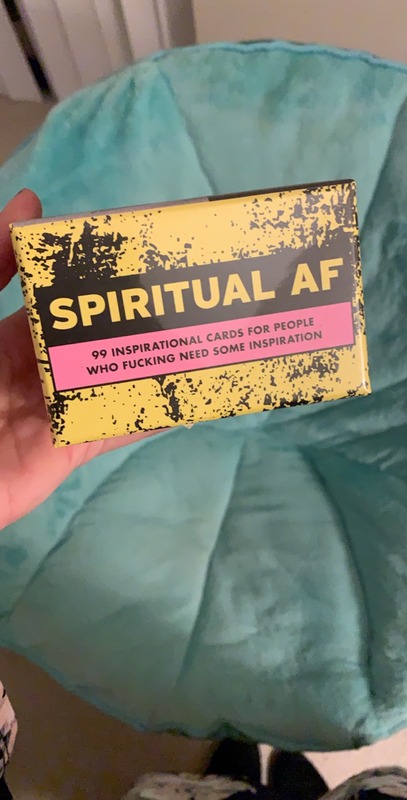 I love how the cards are inspirational in a no-fluff way, helping you get in touch with your spiritual side in a non-intimidating and natural manner. 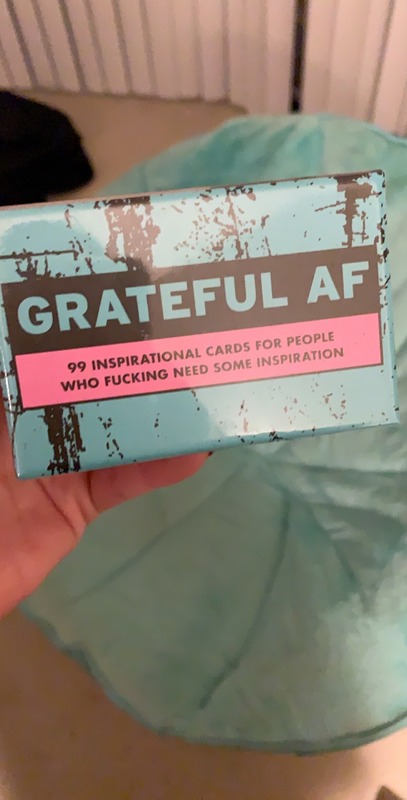 These cards are perfect for people who are interested in self growth, but also have a bit of a potty mouth. Plus, the process couldn't be simpler. All you do is pick a card, read it, and take the advice seriously. Each deck comes with 100 cards, and a stand for displaying them. So if you find one card that you particularly like, why not set it up on your bedside table as a consistent reminder? Go check them out for yourself! A game-changer for stress relief! 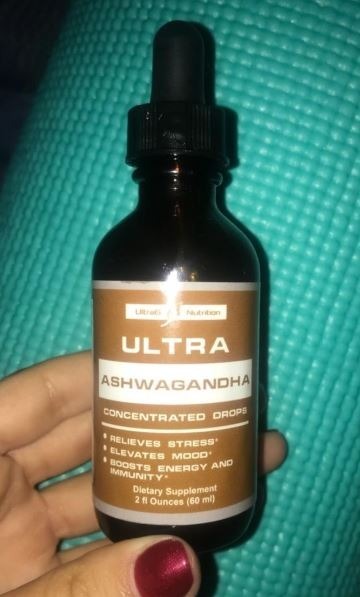 I gave this product a try after a long day of feeling on-edge and anxious, and was very satisfied with how quickly it helped ease tension. The calming effect was instant, unlike other products that take some time to set in. It also doesn't make you overly sleepy - just calmer and more focused, eliminating jitters. I've also noticed that other liquid-based anxiety products can have an unsettling aftertaste, but this one tastes great. If you're looking for a natural remedy to ease anxiety, I definitely recommend purchasing this. I have trouble relaxing my mind and falling asleep, and this product definitely made a difference. 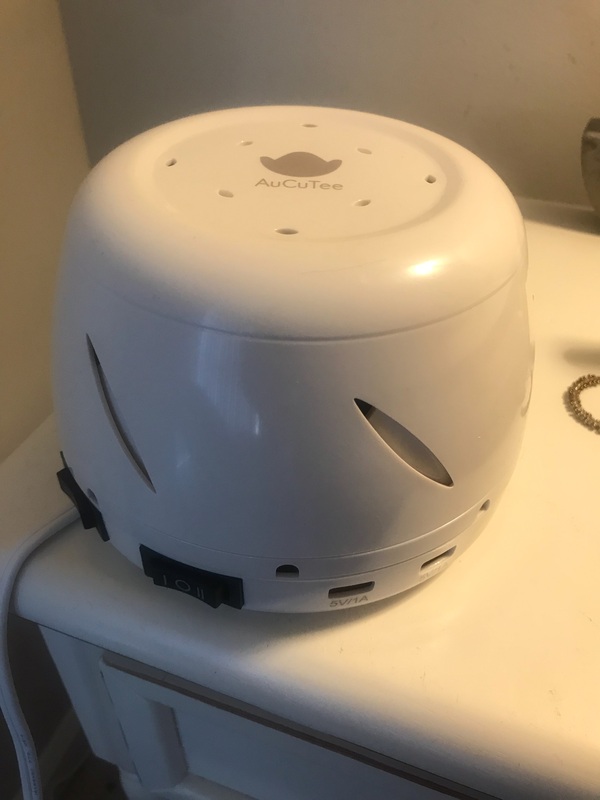 It's very small and portable, making it easy to transport and plug in right by my bed. I liked how there are different settings, dependent on how loud or quiet you want the noise effects to be. I also like how the sounds are simple. In other products, I've felt that some of the sounds (ex. rain water) can actually be more distracting and won't have the relaxing effect that it intends. This product gets straight to the point and does the job well.